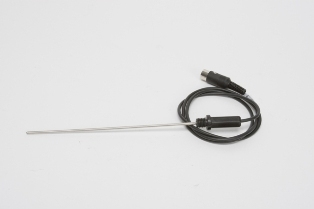 PT1000-B Glass Coated Temp sensor - Oasis Scientific Inc. The SCILOGEX PT1000-B Glass Coated Temperature Sensor is used with the SCILOGEX MS-H-Pro Circular-top LCD Digital Magnetic Hotplate Stirrer, MS7-H550-Pro 7x7" LCD Digital Magnetic Hotplate Stirrer, MS7-H550-S 7x7" LED Digital Magnetic Hotplate Stirrer, MS-H280-Pro Circular-top LED Digital Magnetic Hotplate Stirrer. Allow direct insertion of probe into flask or reaction contents. This glass coated temperature sensor is resistant to corrosive chemicals.